If you are in need of gear for you player, we can help! We have sets to fit youth who typically wear clothing sizes 4-10. Please contact us so that we can help! If gear is returned in good condition, you will receive your $50 back. 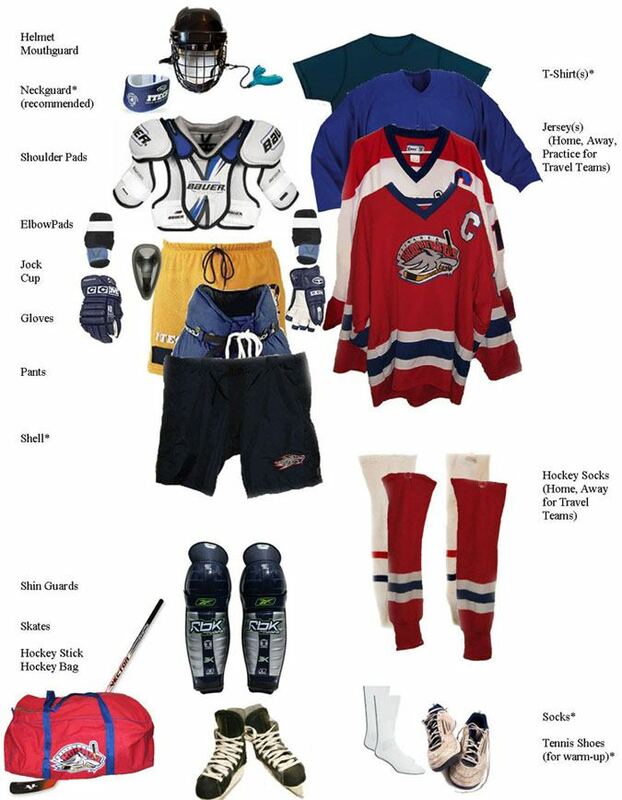 Items not included as part of the Rental Gear can be purchased at Hockey Specialty stores such as Nill Bros. Sports or Play It Again Sports.